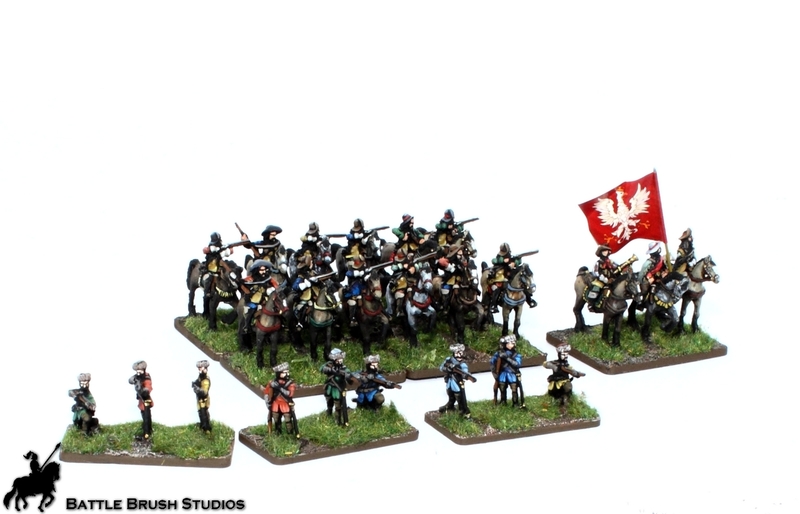 Here's part 2 of the Polish Skirmish Force for By Fire and Sword, with some German-style Reiters! 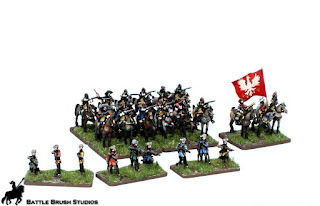 ...and some Polish musketeers on foot who snuck in as well. 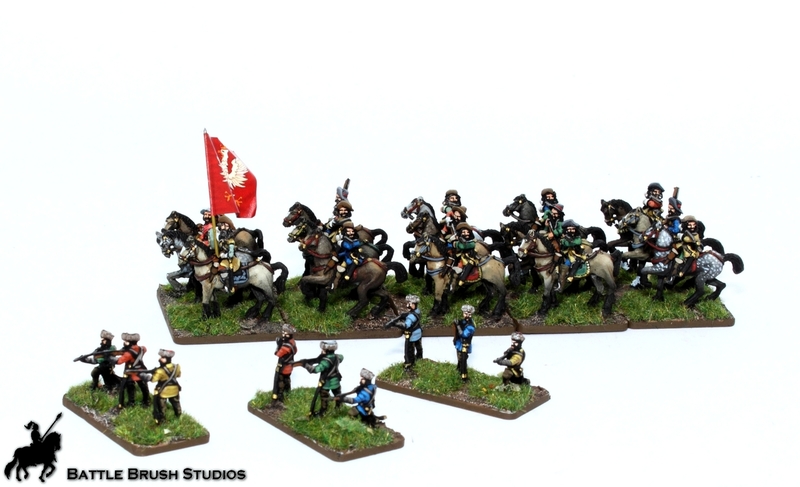 Since the late 16th Century "Reiters" (German, meaning "horsemen") were a thing in central Europe and beyond. They were usually armed with as many pistols as possible and a straight sword, and, by the early to mid-17th century, little to no armour or helmets. 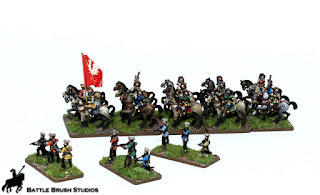 Reiters made firearms the main weapon of the cavalry, soon to be adapted by the heavily armoured cuirassiers as well. Some Reiters, such as the chaps in the photos here, were armed with carbines which they fired from horseback. As you can see from the very generalist name, "Reiter" was kind of a catch-all term for Western-looking, not-Cuirassier cavalry for about a century. 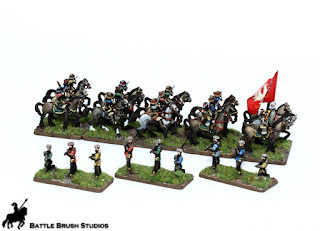 These are 15mm figures for the By Fire and Sword miniatures game and pretty neat. I had painted quite a lot of these before; more on this in a later blog post.